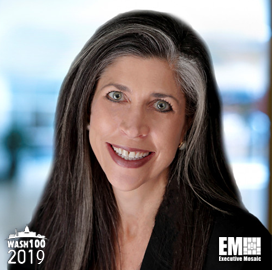 Executive Mosaic is honored to introduce Jean Stack, a managing director at financial services company Baird, as the newest inductee into the 2019 Wash100 — Executive Mosaic’s annual selection of influential leaders in the government contracting arena — for her leadership and experience providing technology and professional services to federal agencies. This marks Stack’s first Wash100 award. In November, Baird held its 2018 Government Services and Defense Conference and Stack shared her view that, “2018 has been a transformational year of M&A at scale in the government services and defense market,” she told GovConWire. She also said that she expects 2019 to be a notable year for small and mid-tier M&As, spinoffs and divestiture. With Baird’s financial consulting support, Conduent agreed to sell its local and municipal constituent government software solutions unit to Avenu Insights & Analytics in August. The move was conducted with Baird’s financial advising assistance to represent Conduent’s strategy to divest itself of $1B in revenue from non-core assets. After spending over two decades at Houlihan Lockey, where she served as a managing director, Stack joined Baird in 2018. In her 23 years with the Los Angeles-based investment banking firm, she served as head of government practice, offered consulting support and worked on behalf of companies involved in providing technology and professional services to agencies. Stack also serves as one of the members of the Northern Virginia Technology Council’s board of directors. Executive Mosaic congratulates Jean Stack and Baird team for their selection to receive this award.